Have you been charged with DUI/DWI, theft, assault or some other offense? I can help. For more than 35 years, I have spent five days a week handling legal matters in New Jersey's criminal and municipal courts. For most of that time, I have been a defense attorney, helping people like you fight criminal and municipal charges and avoid or reduce serious consequences like jail time, fines, driver's license suspension and criminal records. Contact me to discuss your charges and learn what I can do to help you pursue the best possible outcome given your unique circumstances. 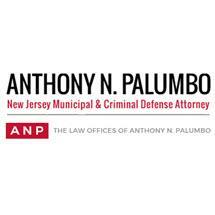 At The Law Offices of Anthony N. Palumbo all of our criminal and municipal defense work is handled by me, attorney Anthony N. Palumbo. I have been practicing law in New Jersey for more than 35 years. During that time, I have built strong relationships with local judges, prosecutors and police, and I put that experience to work for my clients. I will aggressively defend all accused of New Jersey criminal and municipal court offenses. I have a reputation for consistent favorable results and outcomes for all clients based on skill and 35 years of trial experience. Our main office is conveniently located in Cranford and parking is free. We are less than one mile from the Garden State Parkway and two blocks from the Cranford station on New Jersey Transit's Raritan Valley line. We also have an office in Elizabeth.